When you write a new song you automatically have an intangible, yet potentially valuable, right called “the right of first release.” It simply means you have the right to determine the when, where and who of the song’s first public release. After that first public release that right is forever lost. From that point on it’s open season. Anyone who wants to record the song after the initial release can simply notify you of their intention and request that a mechanical license be issued. You do not have the right to refuse that request. If you fail to honor it, and they have proof they requested a license but were ignored, they can proceed without it, and if you pursue them, pay you at that point. You have the option to grant a license for up to 10.000 copies with a small sum paid in advance to cover the first 2,000 copies downloaded or sold. The current statutory rate is 9.1 cents per copy so it totals $182.00. Get it, if it’s an independent release it may be your only payment from that version. Yes, this means if you are a singer and want to record a cover of a hit song by a famous artist you may do so provided you obtain the mechanical license. Giving up your right to first release can affect your options later. It may limit the number of outside artists who will be interested in your song. If you have a “big name” artist interested, but a less popular artist releases it just prior, the big name may lose interest. That situation isn’t common, just possible; many songs have a first release plus multiple covers by many different artists. Some songs have been recorded by hundreds of artists. Also rare but possible, a music publisher may decide to pass on signing a song that doesn’t have the right of first release attached- b.e. 1. They tend to follow the intro, verse, chorus, verse, chorus, bridge, chorus format. 2. They frequently present a twist on that format: A chorus upfront. Or perhaps an instrumental interlude appears very early in the song and again just prior to the bridge or final chorus. Or a chorus or a bridge repeats many times more than you might in a secular tune aimed at getting radio airplay, this is usually in a worship song at a medium or slow tempo. 4. The chords tend toward simple four chord progressions but an amazing number use the tonic, a.k.a. the 1 chord, followed by the 5 chord with the bass playing the third of that chord instead of the root, then on to the relative minor (E, B/D#, C#m) or (G, D/F#/ Em) to give two examples. In the Nashville Number System it’s the 1, 5/7, 6- progression. The “Glorify You Alone” video above utilizes that very progression as well as several other tips presented in this post. 6. The bass line and drum chart often create the dynamics of the arrangement, which typically builds as the song progresses. In some songs, the build reaches an apex then quiets up at the end, some songs plow right on through at full tilt, apex to end. 7. The bass guitar lays out a lot. It might stay out until the chorus appears or even until the second chorus. Sometimes, even in a chorus or verse where you’d normally expect it to continue, the bass and drums drop out, then drums play alone, then the bass comes in to provide power, maybe thumping quarter notes then going to eighths and the bass/drums really drive the song hard at that point. 7. Thumping out eighth notes on bass is very common, especially at tempos around 80 beats per minute, but it can occur at any tempo anywhere the lyric gets intense and emotional. Sometimes it’s “pound out 8ths” beginning to end with just a few runs tossed in here and there. “Glorious” by B.J. Putnam is 145 BPM and most of the choruses are driven by 8ths while verse 1 is whole notes and V2 does a cool little delayed scale walk starting on the “&” of beat 2. Stay in the songwriting business long enough and sooner or later you’ll enter into a co-writing situation. I highly recommend signing one of these agreements with your co-writer before starting each song. I’m sure everyone involved has excellent intentions but memories are hardly infallible, sometimes each party assumes things the others involved don’t and you can easily end up in a lawsuit, it happens often in the music business- b.e. Royalties will be split according to the following percentages: ____ % to Party #1 and ___ % to Party #2 (usually 50/50 or, if more than two parties, usually an equal split). Any expenses incurred will be at the expense of the party deciding to undertake promotion of this work as they determine to invest on a case-by-case basis. Expenses can not be billed to the other party nor may they be retroactively deducted from future royalties or income in regards to splitting of royalties between the parties in this agreement. Neither party may interfere with the advancement of the marketing of this work. Either party may grant the right of first release to an artist but must notify the other party that the release was granted. Either party should be notified of any events relating to the advancement of this song material by the other party. Should another collaborator be required at a future date for the purpose of writing a new arrangement, foreign language lyric. modification for use in an advertising commercial or any other reason, the percentage of royalties for the original collaborators will not be reduced to less than 1/3 of the music portion and will not be reduced at all on the lyric portion without both a written notification to the affected contributor and a signed agreement from them permitting the reduction of royalties. All income derived from this song should be split according to the percentages noted above, including, but not limited to, income from publisher advances; sales of CD recordings and mp3 file downloads on the Internet; sales derived from mechanical licenses to individual independent artists; third party sales such as through Amazon.com, iTunes and similar sites; music book publishing and sheet music sales; church worship performance; live music performances; movies, television and jukebox royalties; radio airplay royalties and all sales and airplay income from independent and major label record companies. If either party is dissatisfied with the work produced under this agreement, they may not withdraw their contribution from this work; however, they may re-use their portion, and only their portion of this work or any part of it, in collaboration with a third party to create a new song. Should this occur, the new song will have no legal connection to the song discussed in this agreement. Two very good books that will help anyone interested in writing Christian songs. When I finally got serious about my Christian walk it took a while to figure out that there was a difference between the songs chosen for church service and most of the songs you’d hear on the way to church on Christian radio. Contemporary worship songs are subset of Contemporary Christian music. I think the second book really makes that distinction clear. Click on the pics if you want more information. That’s not to say it’s the best songwriting tool, the best songwriting tool is your brain. But Master Writer 2.0 is a close second. I’m not a fan of rhyming dictionaries. But when I needed a rhyme and wasn’t happy with the 300 rhyme words Master Writer displayed and it popped up nearly 400 more near rhymes? Well, I realized this was an important advance that could change the songwriting game. It also helps you organize your songs, avoid penning illiterate phrases unless that’s your bag, all sorts of things that are useful. I’d advise at least clicking the pic above and taking a look at it. It’s pricey but many big time songwriters swear by it and if you want to play with the big boys, it’s wise to use the toys they prefer- b.e. A great song? Three chords is all you need sometimes! Songwriting is a process that ultimately has no rules. On one level, if you write a song, think it’s good and like it, then it’s “good” and in theory, who can argue? On the other hand, people often argue about the quality of a specific song. This one is “great”, this one is “not very good” …who appointed them Judge of All Things Musical? What’s certain is that generating large numbers of CD sales or paid downloads requires a lot of people agreeing a song is good enough for them to spend time and money on. It’s weird really, any song can have avid supporters or avid detractors, yet there’s a collective mindset that determines which songs experience huge commercial success. And success is difficult to argue with. So that’s about where commercial songwriting begins to branch off from pure art. “Rules” happen. You begin to run into gatekeepers who believe they know what “everyone likes” in a certain genre. And you better not rhyme heart with start because that’s overused cliche, that song’s going nowhere, buddy. Unless it becomes a huge hit anyway, then for a lot of reasons that make it the exception to the rule, including the fact it was written in June and there was a moon in June, it’s okay. Is anyone seriously going to take issue with the thought that a group of co-writers assembling at an appointed time specifically for songwriting purposes where they’ll brainstorm clever song titles and write lyrics about fictitious situations, aiming for a Billboard hit, is pure art? How do you get your mind around that concept? Where does all THAT play out in your life? 1. I write purely for the sake of the art/fun/relaxation aspects. I don’t avoid “songwriting rules” but I don’t embrace them either. 2. I do songwriting for the art and if I accidentally write a hit, great, but no worries one way or the other. “Songwriting Rules” who cares? 3. I want a hit song! Because I want to write a hit, I “follow the rules” as much as they can be determined. Maybe the Internet has opened things up a bit but it seems “the system” many musicians and songwriters complain about exists for a reason. Most people like a certain category of music or maybe 2-3 categories. So if 5 million people are looking to listen to country music/purchase country music downloads, radio stations make that group a narrowly focused target. They do that because they must have money from advertisers to survive and advertisers need a targeted demographic to make spending $ pay off. If you want to write a country hit, you must get your song in heavy rotation on the most powerful of those stations. As you endeavor to do so, the gatekeepers will be making sure you comply with rules. Hey, life is tough no matter what you do. That’s songwriting now and for at least the next many years to come. To write a lyric successfully, the music framework it will sit on must be accounted for. Lyrics aren’t poems. Lyrics are restricted by elements poems aren’t, elements that are part of music. This post is intended to get you thinking properly and give a concrete tip or two you can use, by no means can we completely explore this topic here. The biggest restriction on a lyric will be the measures (a.k.a. bars) each line has to exist in. Click at the top of the circle to fill the dot above “92” and it will begin to click at 92 beats per minute. That’s a medium tempo, not real fast, not real slow. Count along each time it clicks. 1-2-3-4, 1-2-3-4, 1-2-3-4, 1-2-3-4. You are writing whole notes. Whole notes get 4 beats. Is Songwriter’s Market 2014 still serving the songwriting community? Is Songwriter’s Market 2014 showing the long tooth? 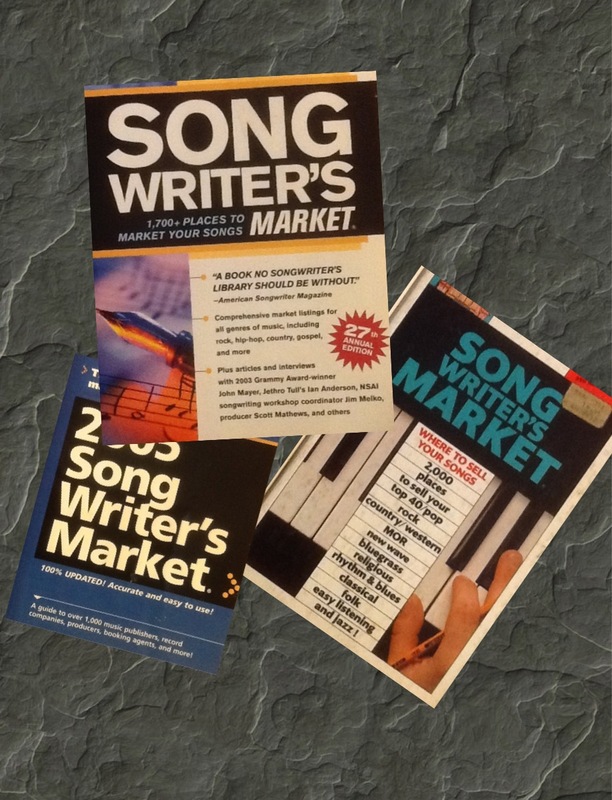 At one time Songwriter’s Market was a useful tool for pitching songs to publishers and record companies. But things have changed in the songwriting world. Times have changed. Many songwriters complained about Songwriter’s Market 2012. According to most, it was badly in need of updating. One buyer revealed that most of her 2012 submissions came back unopened and undeliverable. Most comments on various retail sites are negative. Songwriter’s Market 2013 had little updating from 2012 so if anything, it was even less useful. What has changed since the early days of publication? Songs are more in demand, not less. At one time there were three major TV networks, major motion pictures, PBS and radio. If your songs weren’t played in those places you weren’t making much money. Now there are far more outlets. Look at television alone: Hundreds of channels, most of which use music. Internet websites, radio and Internet advertising use vast amounts of music already and use is increasing as the Internet changes from older users with large desktop systems who prefer reading words, to a younger demographic using smaller devices that prefers music and pictures. Music helps sell. There are newer, universally accessible and arguably better ways to get exposure for an act than there were when Songwriter’s Market began publishing. YouTube, Facebook, etc. weren’t available fifteen years ago. It’s possible the editors have become lazy in updating Songwriter’s Market listings. But regardless of the reason for the decline, it’s still a very useful book for researching music publishers and other music related companies. You can get names, e-mail addresses and more to help you start establishing contact. But purely as a mechanism for marketing songs it has been coming up short for years now. Does anyone care to comment on the usefulness of Songwriter’s Market 2014? -b.e.